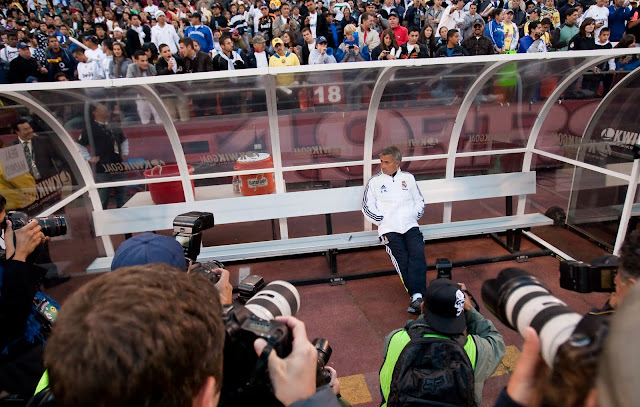 Had a chance to photograph Real Madrid vs Club America on Wednesday at Candlestick Park. Real Madrid was voted by FIFA as the most successful club of the 20th century. They have super stars like Cristiano Ronaldo, Kaka, Sergio Ramos, and Iker Casillas. 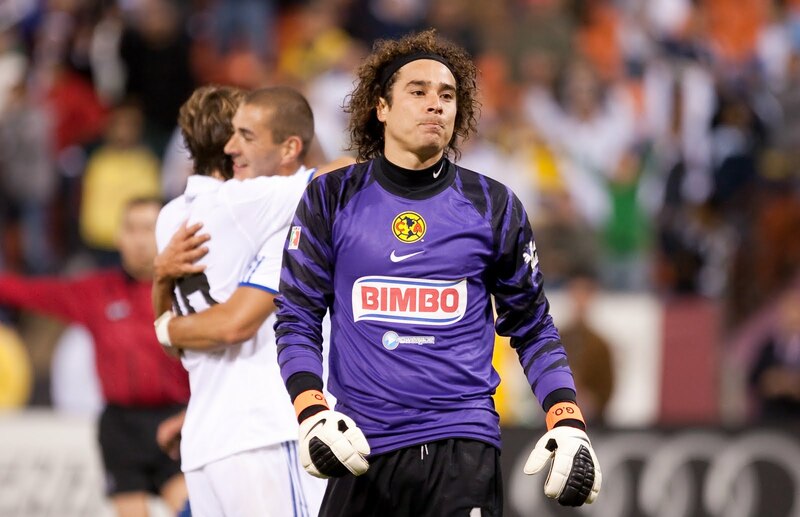 And Club America (along with Chivas) is one of the most successful teams in Mexico, with their super stars Guillermo "Memo" Ochoa and Pavel Pardo. Unfortunately, coming off of World Cup, Kaka, Sergio Ramos and Iker Casillas didn't show. But Cristiano Ronaldo was still there. Though I'm not like 99% of other girls who are absolutely in love with him and his Armani ad, I must admit, I was excited to witness him play. And he didn't disappoint. He scored in the 82nd minute on one of his famous free kicks, to have Real Madrid win 3-2, he played well into the second half, and he was smiley for the starting eleven photos. So he's alright by my book! 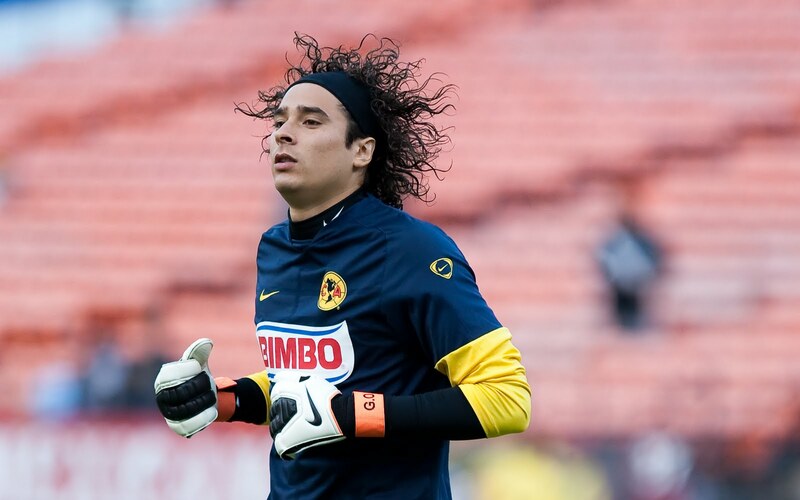 The backup goal keeper for Club America, Armando Navarrete reps the long hair look too... but he also went for the Tony the Tiger look. Since Memo already has the Powerade, adidas, Allstate, Coca-Cola, and all other sponsors, maybe he's hoping for Frosted Flakes! One of the interesting things with international soccer that I feel isn't as common in MLS, the managers aka head coaches, are just as big of superstars as a lot of the players. Look at all the photographers surrounding Jose Mourinho of Real Madrid while he's just sitting there before the match starts! It's always awesome to watch international soccer, even if just a friendly, and hope more international friendlies can come to the bay area! And one more Memo shot...his hair is LOCO!